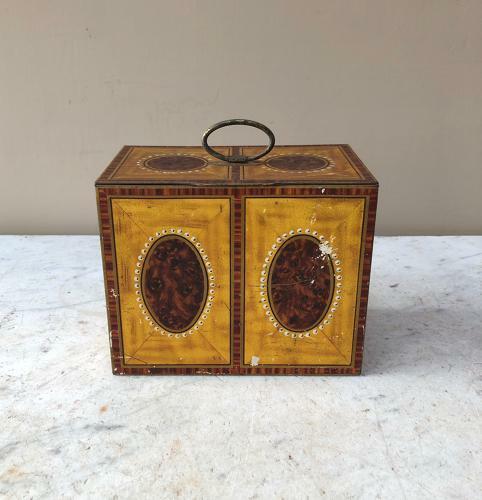 Early 20th Century Biscuit Tin by William Crawford & Sons Ltd. Made to look like a very fine marquetry wooden tea caddy. Brass loop to the top. All good condition. Clean and dry inside perfectly OK to use.